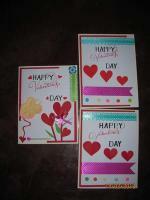 Here are some sweet handmade baby cards by Valerie Smith. 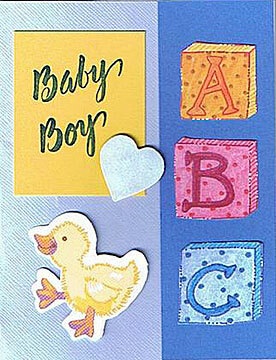 These handmade baby cards include cards for baby boy and baby girl. The last one is suitable for both boy and girl. Enjoy! 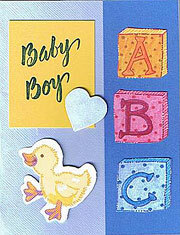 A great baby card for the a new born baby boy! Blue color theme with toy, duckling, and heart. 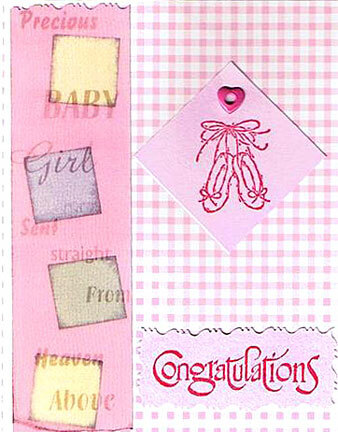 Charm alphabets that spelt "BABY", pink designer paper, baby clothing, ribbon, buttons and pom-pom make up this sweet handmade baby card by Valerie Smith. 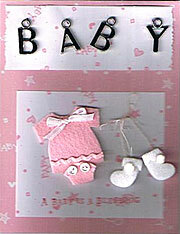 Here's another of the handmade baby cards by Valerie Smith. 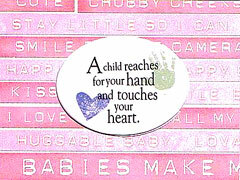 Message on the card: "A child reaches for your hand and touches your heart." 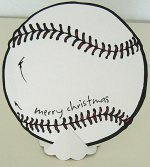 on white oval card with baby hand and heart is cut out from a piece of vellum. 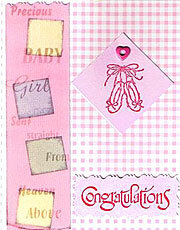 This is then layered over pink designer paper. A handmade baby card by Valerie Smith; suitable for both baby girl and baby boy. "Precious baby girl send straight from heaven above." 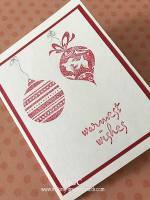 - message on pink paper with square edged with ink is cut out from a piece of vellum. Pink ballet shoes rubber stamped onto pink paper and attached to pink checked paper with pink heart eyelet. 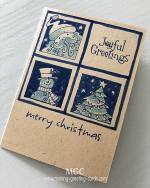 If you enjoyed these handmade Baby cards by Valerie Smith, then I'm sure you would love to view her other handmade cards. Just place your curser on the links below and click. A new window will open.